Home / Uncategorized / Damn I hate the Steelers! Damn I hate the Steelers! The Super Bowl is only a day away and once again, my beloved Cleveland Browns are not in it. 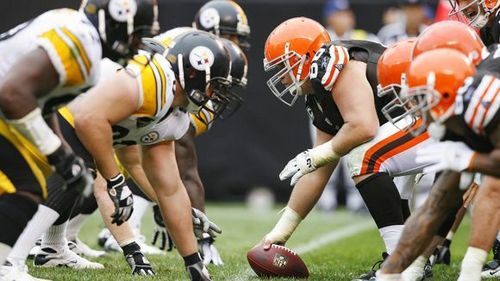 To make matters worse however is that their #1 rival Pittsburgh Steelers are–for their record setting 8th time. I was born in 1970 and grew up watching Terry Bradshaw, Lynn Swann, Joe Greene and Jack Lambert absolutely terrorize the Browns. It helped in shaping me into the Steeler hating fan that I am today. When you grow up in Cleveland you’re born into loving the Browns and hating the Steelers. Of course some have strayed from this over time, but the true Clevelanders remain diehard to these two fundamental truths. I’m no different. However, I hate to admit that I can’t help but look at the Steelers and hope that the Browns can emulate what they’ve managed to do over the last 40 years. The Browns have NEVER been in the Super Bowl and are still years away from being a true threat to make it there. Unlike the Steeelers, they’ve gone through coach after coach trying to find “the right guy.” They’ve blown drafts, wasted free agent signings and pissed away what little talent they’ve managed to develop. The Steelers have been the complete opposite and deserve some credit. (Damn that was hard to write) They’ve had 3 coaches over the last 40 odd years and keep bringing in players that make a difference. Their owner is loyal to the city and is worshiped by the community. They don’t blow drafts and continually plug new guys in where old ones have left. It’s undoubtably the most well run franchise in the last 40 years in the NFL, where the Browns could be the worst. (Ok, maybe Detroit has us beat) My point is that while I hate the Steelers with every once of my being, it will be hard to watch them tomorrow without some level of respect and yes, jealousy. The only thing I can say after admitting that in print is this—GO PACKERS! !